Victims of U.S. Rendition & Torture Starting to Reclaim Rights Says Council of Europe Rights Chief | Democracy Now! Council of Europe commissioner for human rights. AMY GOODMAN: Nils Muižnieks, you are the commissioner for human rights for the Council of Europe. You’re taking on a number of issues. I want to talk about surveillance. But first, secret prisons. NILS MUIŽNIEKS: This is a sordid story in Europe that does Europe shame. Ten years ago, more than 25 countries cooperated with the CIA in the program of extraordinary rendition, and there’s been very little accountability until now. We know—it’s quite well documented—that there were secret prisons in Poland, in Lithuania, in Romania. And now the victims of extraordinary rendition are beginning to claim their rights through the European Court of Human Rights and elsewhere. AMY GOODMAN: Is it fair to say “extraordinary rendition” is just a fancy term or a White House term for “kidnapping”? NILS MUIŽNIEKS: It’s kidnapping, it’s unlawful detention, and it’s torture. And it’s a lack of the rule of law and the ability of people to defend their rights in any system, in any court system, national or international. AMY GOODMAN: Why did these countries do it? What kind of information can you get from them? What are they responsible for revealing now? NILS MUIŽNIEKS: Well, they cannot—these countries cannot say this was the fault of the U.S. Of course, the U.S. is implicated, but they facilitated these human rights violations. And they are now—they should be accountable before their citizens and before international law. They have denied—denied their participation, denied knowledge, for many years. But that position is increasingly untenable, because even after—because now you have these court decisions. You have growing admissions of, “Yes, there was something there, but we didn’t know torture was going on.” So, there’s still a lot of accountability. And this can only—true accountability can only take place if the U.S. cooperates with European countries. AMY GOODMAN: I want to ask you about the case of the German citizen, Khalid El-Masri, who was a victim of CIA rendition and torture. In December 2012, he won a landmark victory in European court. El-Masri was seized in Macedonia in 2003 as part of the CIA’s secret extraordinary rendition program. He was beaten, sodomized, held in a secret prison in Afghanistan for months, before being abandoned by the CIA on a hillside in Albania. El-Masri explained his ordeal through a translator. KHALID EL-MASRI: [translated] They took me to this room, and I had handcuffs, and I had a blindfold. And when the door was closed, I was beaten from all sides. I was hit from all sides. I then was humiliated. And then I could hear just like—that I could hear that I was being photographed in the process when I was completely naked. Then my hands were tied to my back. I got a blindfold, and they put chains to my ankles and a sack over my head, and just like the pictures we have seen of Guantánamo, for example. Then I was dragged brutally into the airplane, and in the airport I was thrown to the floor. I was tied to the floor and to the sides of the airplane. At some point when I woke up again, I found myself in Afghanistan. I was brutally dragged off the airplane and put in the trunk of a car. I was thrown into the trunk of a car. AMY GOODMAN: That’s German citizen Khalid El-Masri describing his torture and rendition by the CIA. Well, in 2012, the European Court of Human Rights condemned Macedonia’s transfer of Masri into CIA custody, ruled his treatment in U.S. custody amounted to torture. 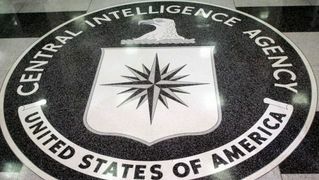 The ruling marked the first time a court of law has determined the CIA treatment of terror suspects constituted torture, and the first time a European state has been held liable for being complicit. Now, again, this was a case that even the U.S. admitted, ultimately, was a case of mistaken identity. He was a passenger on a bus. Masri attorney Darian Pavli welcomed the landmark decision. DARIAN PAVLI: It has been nine years, and it has taken legal proceedings in three different countries, which provided no results for him. Today, this court has confirmed what we knew all along, that his story was true, that he was a victim of an offense of extraordinary rendition. And I think it’s a major victory for Europe and the cause of human rights in the world generally. AMY GOODMAN: He was held apparently for five months largely because the head of the CIA’s Counterterrorism Center’s al-Qaeda unit believed he was someone else, this according to a former CIA official who refused to be identified. How typical is what happened to El-Masri? NILS MUIŽNIEKS: We don’t know, because of the cloak of secrecy. But we know that there were many people who were unjustly and arbitrarily detained, tortured and transferred to Guantánamo. And some people were probably released, and we don’t know about their cases. But we have several other cases that have been adjudicated in the European Court of Human Rights—al-Nashiri and Abu Zubaydah, who are both in Guantánamo. And Poland was found accountable. And there are several other cases pending before the European Court of Human Rights. So these are not individual cases. This is a pattern for which there’s been almost no accountability in Europe. AMY GOODMAN: You said at NYU, speaking last night, that some 25 European countries have been complicit in these CIA prisons and rendition. AMY GOODMAN: So what kind—how do you hold a probe? Who does it? NILS MUIŽNIEKS: Well, ideally, it’s the country itself. Macedonia, for example, was found guilty of failing to conduct an effective investigation into its complicity. So we have to keep holding their feet to the fire and say, “You have to get to the bottom of this. And somebody is guilty and has to be held accountable.” Italy, for example, did try a number of people, both local agents and they called for the indictment of a number of CIA personnel. But afterwards, they were pardoned by the president, so those cases were discontinued. But I think the key is, we need—what these incidents show is a complete lack of democratic oversight of security services. The security services, both in extraordinary rendition and later in surveillance, were doing whatever they wanted. And nobody rang the alarm bell when they should have. AMY GOODMAN: What should the U.S. do right now? NILS MUIŽNIEKS: The U.S. should cooperate with the countries, such as Poland and others, that have been required by the European Court of Human Rights. They should provide them information. They should also provide assurances that these people will not be subject to the death penalty, because the death penalty is outlawed in Europe. And it should come clean and shed light on all of these misdeeds—the torture, the rendition—so as to prevent it from happening again.